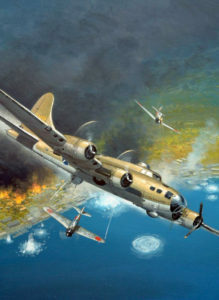 Aviation artist Jack Fellows painting “An Expensive Mission” (1994) depicts “B-17F ‘San Antonio Rose’ 41-24458” over Blanche Bay south of Rabaul on January 5, 1943. 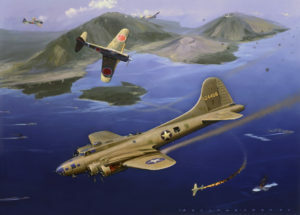 Aviation artist H. Kaiho depicts B-17F “San Antonio Rose” 41-24458 over Simpson Harbor near Rabaul on January 5, 1943 being intercepted by Ki-43-I Oscars from the 11th Sentai, Japanese Army Air Force (2007). This artwork appeared in a 2007 calendar. Aviation artist Jack Fellows profile of B-17F “San Antonio Rose” 41-24458 in early January 1943 (2017). Aviation artist Mark Styling profile of B-17F “San Antonio Rose” 41-24458 and nose detail. 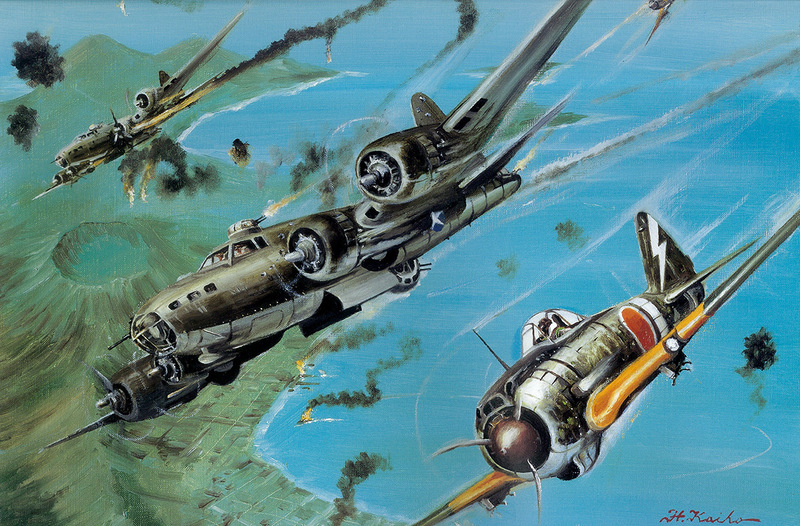 Profiles appear in “B-17”, Osprey Publishing, 2003 pp. 44 (Profile 35).